We’re discussing the pros and cons of the new 9.18 Matchmaker in depth. 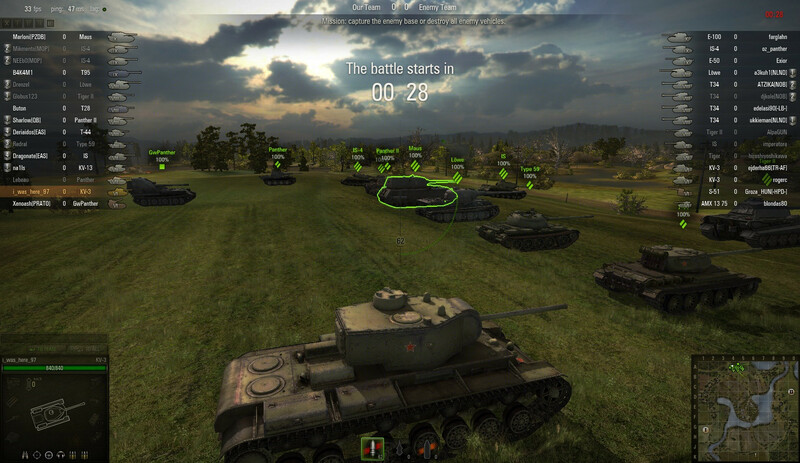 Matchmaking is typically a vitally important part of any online game, and World of Tanks is no exception. Since the initial game release, players have been both critical and complimentary of the matchmaker, and as a result it has changed greatly over the years. From Tier 6 vehicles being able to meet Tier 10s, to Random Battles with 15 vs 15 Artillery pieces, I think we can all agree the Matchmaker has progressed massively in terms of balance. An example of Tier 6s seeing Tier 10s. That being said, nothing is perfect and Wargaming have recently tried to polish their Matchmaker further in Update 9.18. As is to be expected, the community is once again split between a love for the new Matchmaker, and not so much. Overall, I’ve noticed more of a negative reaction, but that’s quite normal as content players are less likely to voice their opinion as much as players who have an issue with a change. For that reason, I’ll be discussing my thoughts on the matter. For more arguably controversial matters check out the Top 5 Things World of Tanks Players Hate. Tip: To remain relevant at lower Tiers, act as a Support Gun. First of all I should explain what Wargaming actually changed in Update 9.18, and in subsequent tweaks and fixes, for those otherwise unaware. Arguably the most significant change was to how teams are compiled regarding their Tiers. Previously, the Matchmaker would create games based solely on queue demand for all tanks within the given +/-2 Tier spread. What this meant was if there were a lot of Tier 8s in the Matchmaking queue, for example, then games would primarily consist of Tier 8s. This seems logical enough, but there were issues involved when, say, a Tier 6 tried to queue for a game before finding themselves as heavily bottom Tier, as they were still in the +/-2 Tier spread. 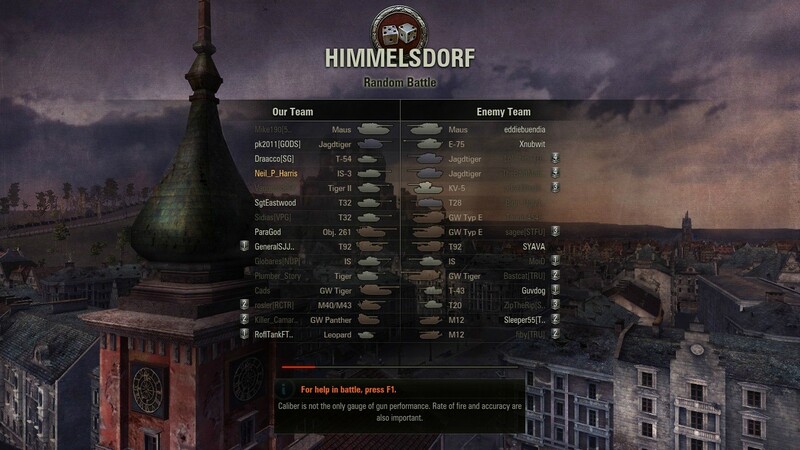 It wasn’t uncommon to see some unlucky chum as the only Tier 6 in a game, versus 15 Tier 8s on the enemy team, as well as having to compete with 14 Tier 8s on their team. 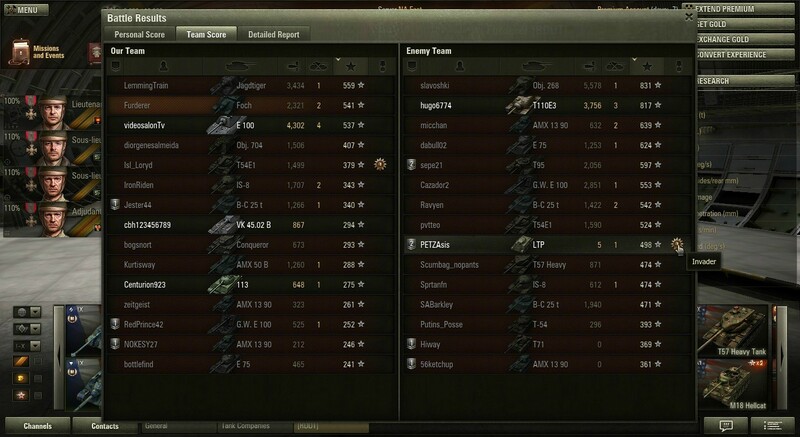 An example of the Matchmaker a few years ago, with a lone Tier 6 Hellcat in an entirely Tier 7 game. The new Matchmaker retains the +/-2 system, but has implemented different Tier levels in any given game. If a game consists of Tanks a whole 2 Tiers apart, it will stick to a 3/5/7 template (or as close to as possible), meaning a game will only have 3 top Tiers, 5 middle Tiers, and 7 bottom Tiers. If there is a heavier queue weight towards a Tier spread of 1, say Tier 6s and 7s, then it will abide by the 5/10 template, meaning there will be as close to 5 top Tiers as possible, with the rest consisting only of bottom Tiers a single Tier below (so 10 bottom Tiers). Finally, if the queue weight has a single Tier bias, say there’s a whole bunch of Tier 10s, then it will abide by a 15 vs 15 template where everyone involved is equal Tier. While a single Tier spread was possible, as was +/-1 games, there was no templates in place ensuring a balanced spread, so things could get very wonky. Not only this, but Tier 12 games weren’t possible so Tier 10s would always have one-up over lower Tiers. If you notice that you’re struggling to penetrate higher Tier targets, familiarising yourself with the relevant Battle Mechanics can assist in this. Another significant change was to how players could form platoons with each other. Previously, while not advised, players were entirely capable of taking a Tier 1 Tank into a Tier 10 match simply by platooning with a player in a Tier 8-10 vehicle. This was often done by mistake, or by players joking around with their friends. As of 9.18 this is no longer possible, and you’re only allowed to ‘ready up’ in an equal Tiered Tank as your platoon mate. Artillery were once again limited from a maximum of 5 SPG’s per team to a maximum of 3. Initially Artillery were not allowed to form platoons, however a later Patch reverted this change as Wargaming considered it too far. Not only this, but previously the Matchmaker would go to great lengths to ensure an even number of SPGs were on the same team, with the same rule applying for Light Tanks. Now, while the Matchmaker still attempts this, it will drop the necessity to balance the two classes if queue times are becoming too excessive. I’m a huge fan on Matchmaking templates. As a player I’ve always been very involved in giving my opinions and suggestions on in-game matters and issues, and the old Matchmaker was certainly one of them. I had big problems with how the old Matchmaker created +/-2 games, it was easily one of the most frustrating aspects of the game for me, and I was an advocate for a +/-1 Tier spread Matchmaker because of this. It would have been a lot more balanced than the old one, and was the only solution I could come up with, as well as being the only feasible solution I saw anywhere. There was an issue with +/-1 Matchmaking, though, namely for the NA server and other small servers like SEA. A smaller Tier spread meant fewer players in the queue who were eligible for the same game. Whereas with +/-2 a lone Tier 6 Tank could be thrown into a Tier 8 battle to ensure they could still play the game, +/-1 would entirely prevent this. This would create increased queue times which larger servers like RU and, the server I play on, EU, could easily deal with, but smaller servers couldn’t. It could have a massive impact on not only queue times, but being able to create matches at all. Wargaming absolutely smashed this solution in my opinion. The 3/5/7 Matchmaker is something completely innovative and new, which balances +/-2 Matchmaking which I previously thought impossible. On top of this, the new Matchmaker implemented +/-1 and +/-0 Matchmaking with the 5/10 and 15 vs 15 templates too, allowing for the Tier spread so many players wanted without harming queue times too much for smaller servers. If you’re bottom Tier in 3/5/7 game you no longer feel entirely helpless, as there are 7 enemy Tanks which are your Tier, and 5 more Tanks which are only a single Tier higher. If you’re top Tier you’re one of the 6 most dominant Tanks on the battlefield. That being said, players still have some criticism for the new Matchmaker; the first being “I always get bottom Tier, Tier 8 Matchmaking is broken”. I’ve got my own personal experiences and conspiracies on this matter from both the old and new Matchmaker. Now, it has always been the case where players claimed to always get bottom Tier. Without seeing any solid evidence for all players over many thousands of games (more than simply “I checked for 50 games and I was bottom Tier a lot"), I can’t do anything more than dismiss claims at constantly being bottom Tier as confirmation bias. I can say that when playing at off-peak hours, you typically get worse Matchmaking than you would at peak hours. This is because there are fewer Tanks available in queue for the Matchmaker to create the perfect game as it would like to. Not only this, but players typically play higher Tiers at night to avoid the bad Matchmaking themselves. Unfortunately, for the NA server, their server population is always lower than, say, EU’s is, meaning this problem is exaggerated for them even when playing a peak hours. This has always been the case, and is not an issue with the new Matchmaker but rather a player-caused issue and a natural problem that accompanies a lack of resources (players) available. Hopefully the recent server merge for US West and East into a single, central server will partially solve this. The only fault with the Matchmaker in my opinion is the fact that it prioritises +/-2 Matchmaking. Don’t get me wrong, I stand by what I said about it being infinitely better than the old +/-2 system, but a smaller Tier spread will always result in a more balanced game, however the new system does the opposite. If Wargaming simply used 3/5/7 as a back-up for poor queue times while mainly sticking to +/-1 or 0 you’d achieve the best possible balance without issues to queue times. Another complaint I’ve heard is “3/5/7 isn’t balanced, how is my Tier 6 meant to deal with a Defender?! ", or "how is my Tier 8 meant to deal with the Maus or Type 5 Heavy?" That’s a valid enough argument, but I would certainly argue the point that that’s an issue with individual Tank power levels and balancing, and an issue with the map meta, rather than a fault with the Matchmaker. If maps didn’t force you into frontal engagements with higher Tier Heavy Tanks, meaning you could flank and penetrate enemies’ weak spots, that wouldn’t be an issue. 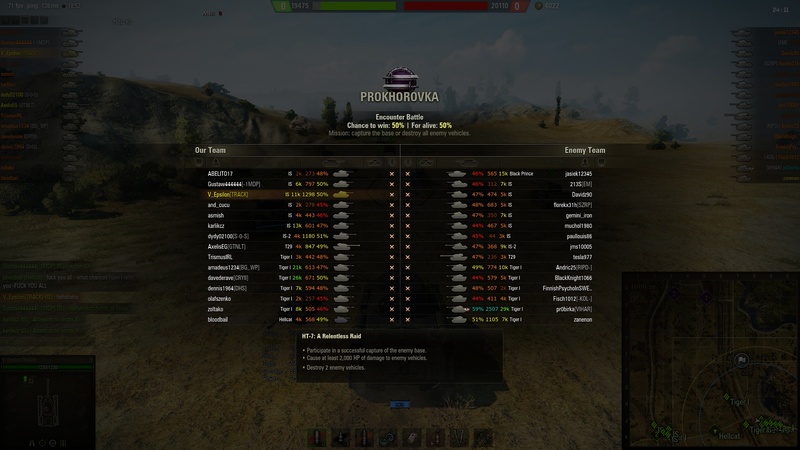 No game is perfect, and the map meta as well as individual Tank balancing are certainly both high up on my list of “How to improve World of Tanks”. This was a long overdue and very welcome change to see in Update 9.18. Team mates didn’t find it funny when they were immediately at a disadvantage just because someone thought they were being funny at the expense of others, and enemies didn’t enjoy having less health to farm off the enemy team. Not only this, but some players made an earnest mistake by accidently queuing in the wrong Tank, it led to toxicity and team-killing in many circumstances – it was just bad news for everyone involved. On the other hand, platoons only 1 Tier apart weren’t particularly problematic, and having such restrictions can limit the Tanks platoon mates can pick with each other often unnecessarily. Then again, allowing for multi-tiered platoons could interfere with the Matchmaking templates, as 15 vs 15 would no longer be possible. Perhaps this could be looked at in the future, but the situation is certainly in a good place where it currently stands. Limiting the number of artillery per game as part of its complete overhaul was a breath of fresh air. Regardless of whether you favor SPG’s or not, a maximum of 5 per side was entirely unnecessary and would consistently cause a very static, camp-heavy game. As for reinstating SPG’s ability to platoon, I believe it was the correct choice. I’m not a fan of arty to say the least, and certainly enjoyed the period of far fewer SPGs per game as well as not getting focus fired as much, but there are ways to go about the issue properly. Taking away the ability for it to play with friends out of spite isn’t one. Making an equal number of SPG’s and Light Tanks less necessary is an improvement over the old system, as it improves queue times without having much of an effect on the game. This does, however, bring to light another issue. Neither SPG’s nor Light Tanks are as necessary to influence the outcome of a battle as Heavy Tanks and Medium Tanks are. From my point of view this makes it even more clear that Light Tanks are very underpowered, and Artillery is little more than a grief class that doesn’t actually have a necessary position in the game, but those are issues to discuss in another article. For now, getting to know Spotting Mechanics can help a lot with Light Tanks, and understanding Damage Mechanics will help you cope with artillery. That wraps up my thoughts on the new Matchmaker, a long one but there was a lot to get through. The TL;DR of it is definitely an overall positive, while there are some things that could be looked at, Wargaming did a great job on the new Matchmaker as far as I’m concerned, and have fixed one of the most pressing issues in the game previously. With a few tweaks here and there we could have a near-perfect Matchmaker. What are your thoughts on the situation?